So You’ve Decided to Lobby—Does Firm Size Matter? 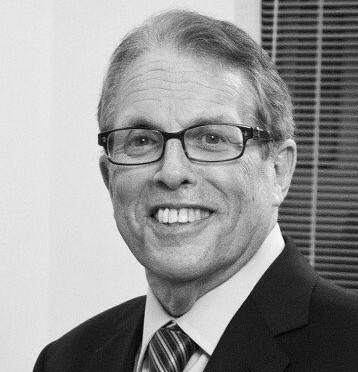 Howard Marlowe is president of Warwick Group Consultants, a Washington, D.C. Government Affairs firm. He has over 40 years of experience as a lobbyist. Mr. Marlowe worked on Capitol Hill as the Legislative Director for a US senator and a counsel for the Senate Finance Committee. He has also worked as an economist and as Deputy Director of Legislation for a major trade association. Mr. Marlowe has a B.S. in Economics from the Wharton School of Finance and Commerce, and a J.D. from New York University Law School. It’s inevitable. After every congressional election year, there are Hill staffers who will look at a change of career. Some, of course, are forced to, while others simply have had enough of the Hill and want to pursue influencing public policy in some other way. The DC area offers lots of opportunities for alternatives to working on Capitol Hill. I’m going to focus on lobbying, with an emphasis on working for a large vs. a smaller firm. I left the Hill after four very hectic years and with little idea what I wanted to do. Times were much different then. Most of the people I worked with on the Hill went back home. I tried to stay on the Hill but couldn’t find the right fit. Put another way, I interviewed several times but didn’t get an offer. As luck would have it, I wound up working for a small firm where I’d do mostly economic analysis. One day, I wound up testifying before a Senate committee on behalf of one of our clients. Frankly, I didn’t do well, but I also realized that there were ways I could be involved with Congress without working there. A few years later, I wound up working for a large trade association as a lobbyist. I thoroughly enjoyed the opportunities I had to make a difference, but I felt stifled by the size of the organization. So, I formed my own lobbying business. It’s been more than 35 years, and I’ve never regretted the decision. I’ve always kept my business small, starting out with no employees and never having more than a dozen. The advantage of our small size is that everyone who works in our shop has daily contact with me, and vice versa. From an employee’s point of view, having contact with senior management without having to send a memo or fly to another city provides a promising opportunity to interact with the men and women who run the business. The disadvantage is that you might find out that you really can’t get along with the firm’s boss, maybe it’s a personality issue or you don’t like how they run the business. I’ve seen small business owners who are lousy managers, either being so rigid that they drive away good workers or because they consistently make bad financial decisions. If this is your first job in the private sector, be sure to research the questions you need to ask about benefits, vacations, and other benefits. Small firms may offer fewer traditional benefits, but that doesn’t mean that their perks will be fewer. For example, having opportunities to have direct contact with clients is a major learning opportunity that will build skills that will expand your career potential. On the other hand, I’ve seen work environments that advertise free beer and couches you can nap on. Choose what’s important to you, but don’t let compensation dictate your decision because being unhappy in a job that pays six figures is just as bad as being in a bad marriage. Believe me; I’ve had both experiences, and each was painful. By the nature of their size, smaller outfits generally offer employees a more diversified job description than larger organizations. There can be more opportunity for quicker career advancement and more opportunity for workers to feel they are an integral part of the business. Whether it’s called lobbying or policy advocacy, there are not only size choices for you to make, but also alternatives that span the spectrum from for-profit to non-profit and scientific to academic. Lobbying firms have clients, while these other types generally are very issue-focused. Decide where you feel the most comfortable because you’ll be spending more awake time at work than you do with any romantic interest or partner in your life. Among small public policy businesses, mine is known as a “niche” firm. We handle only water resources issues, and within that category, only those issues that affect the nation’s coasts. How I got into that is a story for another day, but let’s boil it down to saying it was a lucky accident Early on in my accidental specialty, I became known as the most visible advocate for beach nourishment projects and policies. In the last few years, we have morphed into the critical coastal resilience sector, offering local and state governments as well Federal agencies and private sector interests with consulting assistance. We know the processes and policies that govern how the Federal government carries its missions related to coastal navigation and damage reduction, and how to help our clients build their resilience in the face of global warming and sea level rise. Over the years, I and my colleagues have never worked for a client on an issue we were ashamed of. Just recently, we turned down a client who had objectives that left us feeling uncomfortable, and I’ve let go of a handful of clients for reasons such as not taking our advice or being difficult to deal with. I’m in business to make money and always have, but I don’t want to wake up in the morning and look in the mirror with any doubts or regrets about my work. That’s a good standard for you to use, no matter what size firm or business you work with.